In the week ended April 13, 2018, the bulls remained in control, pushing the market higher. Large-cap stocks continued to shine while some mid-caps came under pressure. With the ongoing results season, the volatility may persist. The S&P BSE Sensex & CNX Nifty 50 closed the week up 1.68% and 1.44% respectively. In comparison, the S&P BSE MidCap Index closed lower with a gain of 0.49%. The S&P BSE SmallCap Index inched higher by 0.55% over the week. Given this performance of the stock market, most equity mutual fund schemes, including balanced schemes, closed with decent gains. Funds with a large-cap focus gained the most and were among the top performing mutual funds for the week. Those mutual funds that have aggressively invested in PSU and Pharma stocks would have lagged behind. In terms of valuations, the price-to-earnings (P/E) multiple of the S&P BSE Sensex hovers around 23 times. The P/E of the S&P BSE MidCap is now at 38x and that of the S&P BSE SmallCap index remains around 100 times. The recent relief over the past couple of weeks has rally pushed valuations higher and the indices continue to trade over twice their long-term average P/E. Hence, could come under pressure with adverse news. On shifting the focus on sectoral performances, shares of IT, Metal and Bank sectors managed to close with reasonable gains. The Nifty IT, Nifty Metal and Nifty Bank indices, gained by 5.21%, 3.37% and 1.32% respectively. Mutual funds investing in these sectors would have been able to deliver good returns to investors. Among the sectoral indices that traded in the red were the Nifty PSU Bank, Nifty Realty and Nifty Pharma index. Shares of these sectors fell 2.59%, 0.82% and 0.48% respectively. Mutual funds investing heavily in these sectors would have trailed behind the others. Among equity-diversified mutual funds Baroda Pioneer Mid-cap Fund, Kotak Classic Equity Scheme, HSBC Large Cap Equity Fund, Aditya Birla SL India Opportunities Fund, and Aditya Birla SL Special Situations Fund topped the list with returns of 1.90%, 1.65%, 1.60%, 1.54%, and 1.44% respectively. On having a look at the category wise performance Kotak Classic Equity Scheme, HSBC Large Cap Equity Fund, Sundaram Equity Plus, Axis Focused 25 Fund, and Invesco India Growth Fund were the top large cap funds with a return of 1.65%, 1.60%, 1.42%, 1.40%, and 1.40%. Baroda Pioneer Mid-cap Fund, Axis Midcap Fund, Sundaram S.M.I.L.E Fund, DHFL Pramerica Midcap Opportunities Fund, DSPBR Small Cap Fund were the top mid cap funds & top small cap funds with a return of 1.90%, 1.21%, 0.97%, 0.95%, and 0.92% respectively. Among multicap funds, Aditya Birla SL India Opportunities Fund, Aditya Birla SL Special Situations Fund, L&T India Spl. 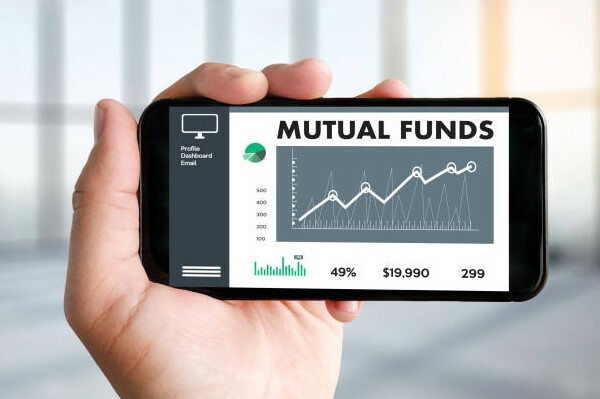 Situations Fund, Tata India Consumer Fund, HSBC Dynamic Asset Allocation Fund were the top multicap funds with returns 1.54%, 1.44%, 1.41%, 1.39%, and 1.30% respectively. In the ELSS category IDBI Equity Advantage Fund, Axis Long Term Equity Fund, IDFC Tax Advantage (ELSS) Fund, L&T Tax Advantage Fund, Indiabulls Tax Savings Fund were the top ELSS funds, generating a return of 1.53%, 1.48%, 1.31%, 1.25%, and 1.23% respectively. Balanced funds were able to deliver restrict losses better with the debt component, but were not able to stay out of the red. The top balanced funds for the week were Sundaram Balanced Fund, L&T India Prudence Fund, Principal Balanced Fund, Edelweiss Balanced Advantage Fund, and Shriram Equity & Debt Opportunities Fund. These schemes delivered a return of 0.85%, 0.81%, 0.80%, 0.67%, and 0.63% respectively. How to invest in the best mutual fund schemes? PersonalFN suggests that you must take a closer look at the performance of your mutual funds. Staying invested in funds with a proven track-record of consistent performance may pay off in the long run. While we acknowledge that, even the best systems and processes cannot predict the top mutual funds of the future, as an investor, you need to pick the right and suitable funds to meet your financial goals. Hence, a process that combines both quantitative and qualitative factors has a good chance of picking funds that can deliver decent market-beating returns. The quantitative factors will cover the fund’s performance across multiple periods and market cycles, as well as the fund’s ability to manage risk among other factors. The qualitative factors will take into account the fund manager’s experience, the performance of the fund house across multiple schemes, as well as the quality of assets in the portfolio, to name a few. Thus, when analysing a fund across both quantitative and qualitative parameters, you will be able to pick a fund that has a promising future. PersonalFN adopts such a process to shortlist the potentially best mutual funds for its subscribers. Thus, in the interest of your long-term financial wellbeing, it is best that you wisely structure and review your mutual fund portfolio. If you are unsure where to invest fresh investible surplus currently, to strike the correct risk-return tradeoff we recommend adopt a ‘core and satellite approach’ to investing. In times of volatility, a Systematic Investment Plan (SIP) would undoubtedly be a prudent route as compared to investing your corpus as a lumpsum. When investing in equity, it is important to keep a long-term investment horizon of five to seven years or more, even if you are investing via a SIP. In this report, PersonalFN will provide you with a readymade portfolio of its top equity mutual fundsschemes for 2025 that have the ability to generate lucrative returns in the long run. PersonalFN’s “The Strategic Funds Portfolio for 2025” is geared to potentially multiply your wealth in the years to come. Subscribe now!